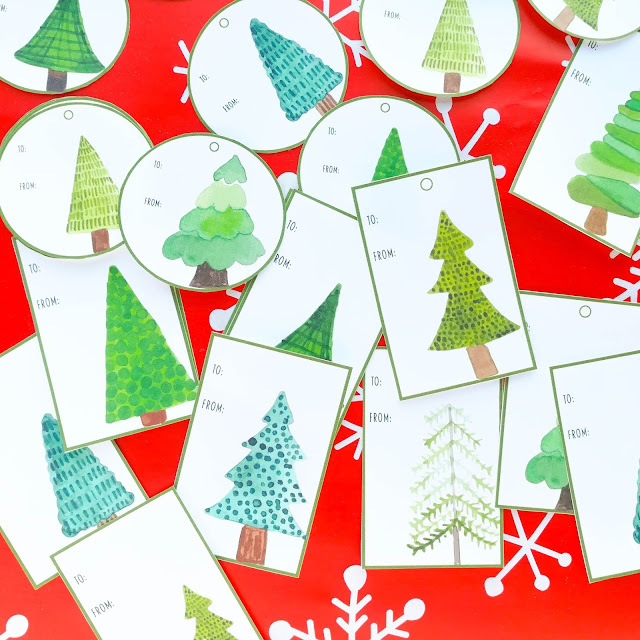 Free printable Evergreen Tree Gift tags. 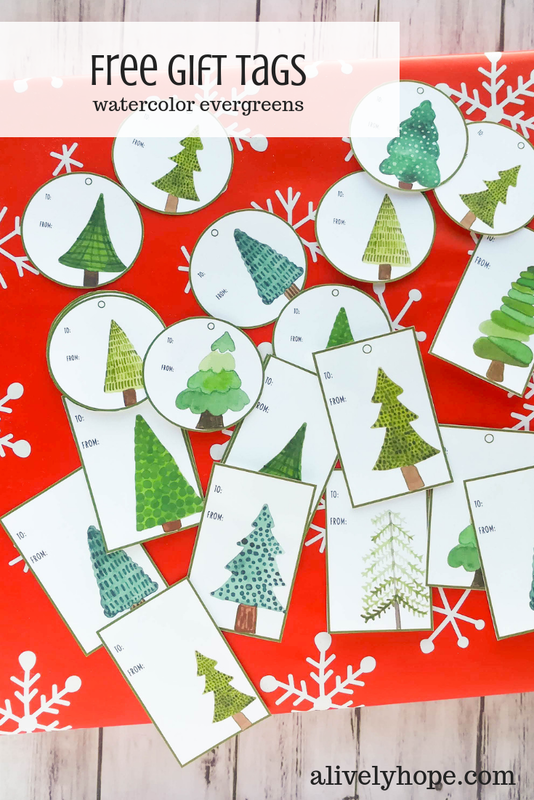 Beautiful watercolor illustrations to adorn your Christmas presents! One year for Christmas I bought my husband a huge (and I mean HUGE) tool box set. I found a great deal on Black Friday and he really needed them to organize his shop. It was actually two big tool boxes that stack on top of each other. The boxes they came in were so large that I could not carry them by myself. I tried, but after dropping them going up the stairs into our house, I enlisted help from our kind neighbor. We finagled them into the house, I wrapped them on the spot, because there was no way I was going to be able to hide them, and they sat under our tree for weeks leading up to Christmas. On Christmas morning I asked my husband which one he wanted to open first and he said, "Oh! Those are real presents? I thought you'd just wrapped empty boxes for decoration. It seems like a thing you would do." Which is totally true. I love wrapping gifts early and setting them out to add to the anticipation of the season. It makes me so happy to walk past a little pile of pretty gifts. It does cause problems with little kids, though. 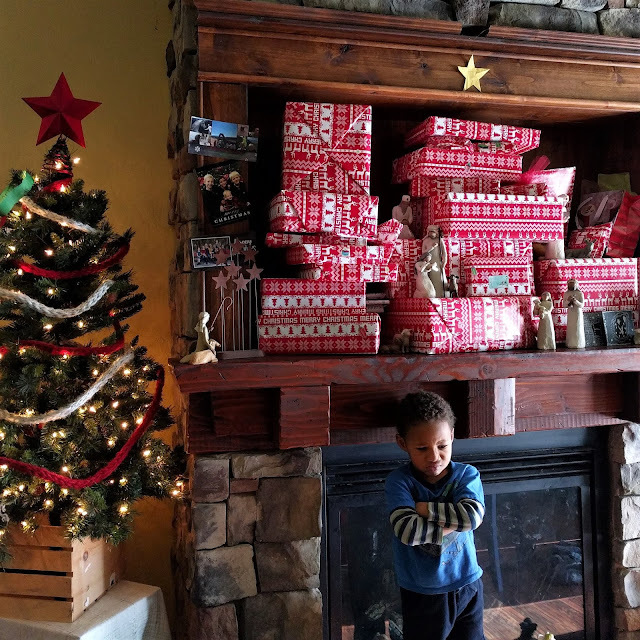 He had just discovered he couldn't reach any of the gifts and I wasn't going to let him open them until Christmas (I know! I'm so mean!). 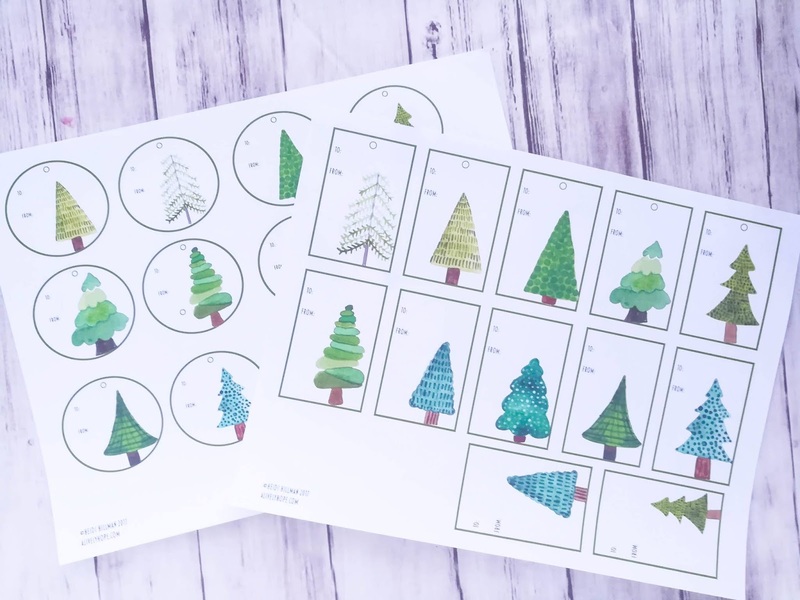 Whether you're an early wrapper or a last-minute gift bagger, the free printable I've got for you today will be a perfect addition to your Christmas gifts. These beautiful gift tags featuring watercolor evergreen tree illustrations will make your gifts extra special. 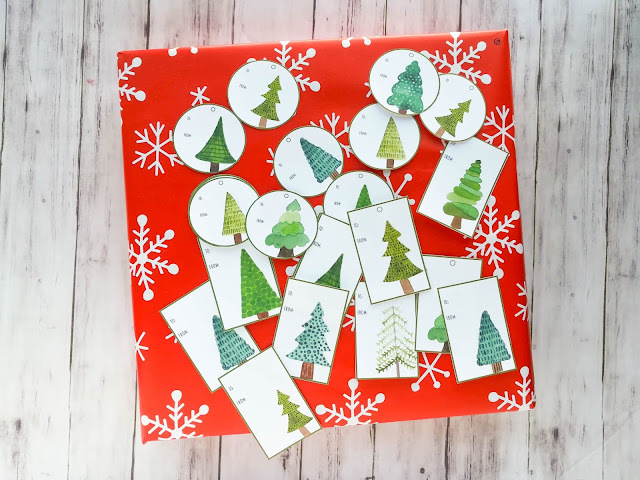 These gift tags are perfect for your Christmas celebrations. Print on sticker paper and cut out the shapes. Or print on regular paper/cardstock and tape them onto your gifts.